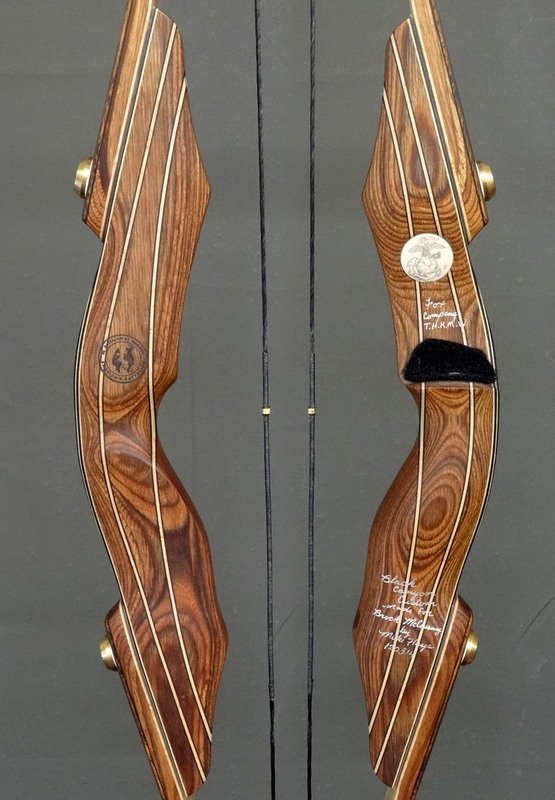 A few years ago our good friend and employee, Brock, was looking for a bowyer that could build a special bow. 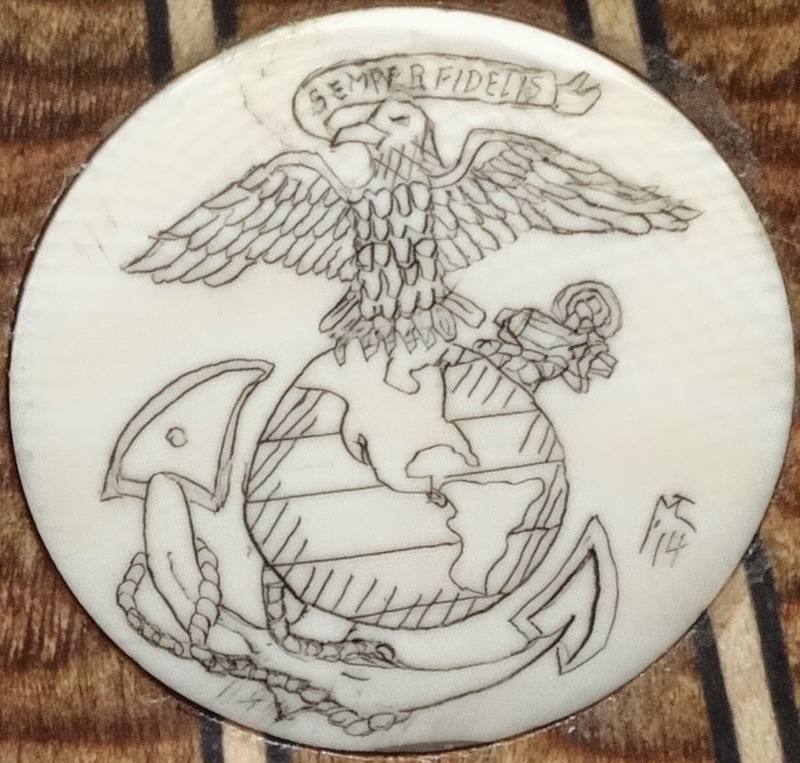 Brock wanted to commemorate his friends the he served with in the 2nd Battalion 8th Marines. Joseph Garrison, Xhacob LaTorre, Donald Vincent, and Bruce Ferrell. After a pretty extensive search Brock settled on ordering a bow from Mike Hays of Black Canyon Bows. We all agreed that Mike's bows are hard to beat. 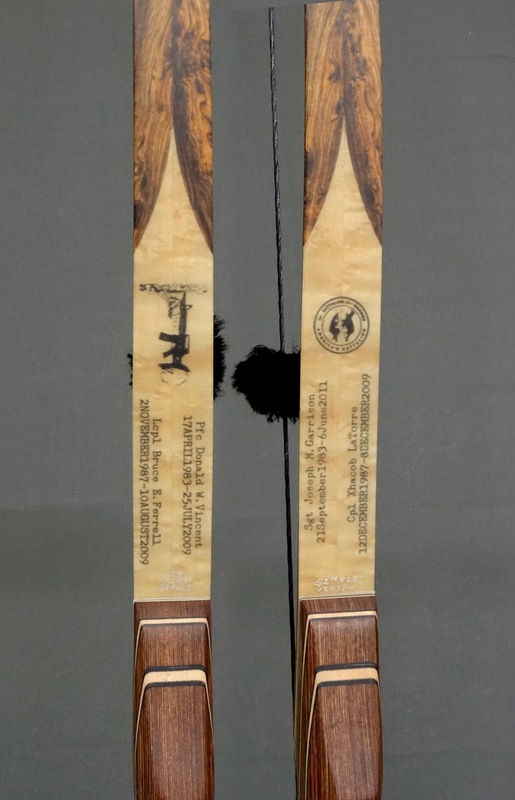 His craftsmanship is top shelf and his bows are unbelievable shooters. Even though we all figured that Mike would be the man for the job, none of us could have guessed how spectacular this bow would actually turn out. The riser is dymondwood with birdseye maple accent lines. 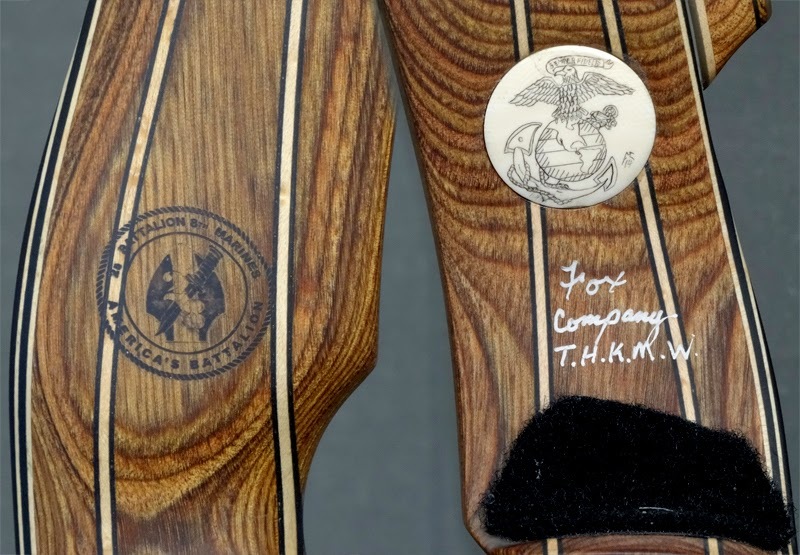 Marv Clynke donated a scrimshaw button for the riser. I have 20/20 vision, but I cannot read the detailed letters without a magnifying glass. Marv is a true master. The intricate letters and other fine details are nothing short of amazing. Let me reiterate, that you cannot read this with the naked eye. The limbs are bacote with birdseye maple spliced on the belly. The lighter colored wood showed off the writing that was laser engraved before laminating. Brad Chamberlin of Hapa Enterprises did the laser work on the limbs for free. Mike and Brad did an amazing job. They spent a lot of money and tested a few different methods before finding a method and style that they were pleased with. All of us here at RMSGear were absolutely thrilled with the way that the bow turned out. A huge, huge thank you to Mike Hays, Marv Clynke, and Brad Chamberlin for helping make this happen. And a bigger thanks to Joseph Garrison, Xhacob LaTorre, Donald Vincent, and Bruce Ferrell and their families. A stupid bow is not enough to thank them. 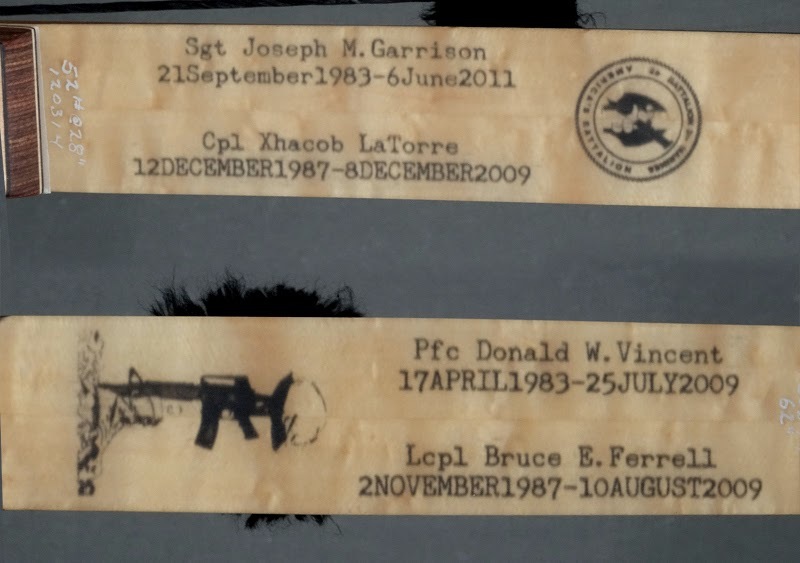 Their lives are remembered.